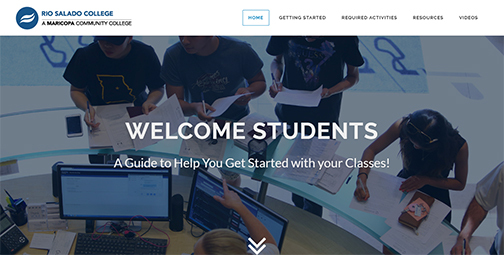 Rio Salado College | RioNews: New Student Online Guide to Success! New Student Online Guide to Success! Check out our online guide for new students! It’s a step-by-step blueprint that will show you how to take online classes, how to communicate with your instructors, track your progress and more!